I got a cute dessert cup at convenience store. 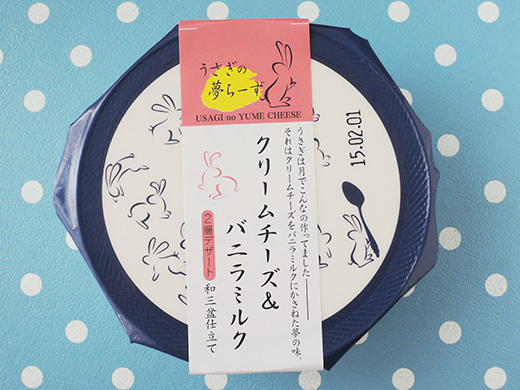 Japanese modern-style brush drawing rabbits (USAGI) are hopping around the package with a big spoon. 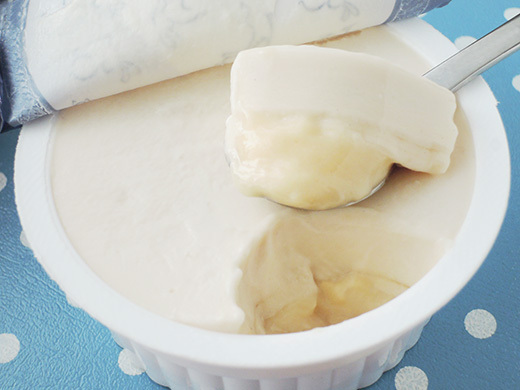 There’s a small story for this sweets – “Moon rabbits are making this dessert secretly, it’s a dream (YUME) flavor of cream cheese on vanilla milk.” Cream cheese and vanilla milk flavored jelly were sweetened by Wasanbon, high quality Japanese sugar.